With regards to women and fashion, there are various personality types that you can slot into. They include: Miss Femme Fatal, the classy Miss Bona-Fide. The wacky Miss Eccentric, the Forward Fashionista, the Refined Damsel. Miss Park Avenue Chic, Miss Preppy, Miss Bohemian and Miss Minimalist. Every lady needs a stunning bag that suits her unique personality and this tip is to help identify your fashionable personality and what bag would suit it. Read on to find out. If you are Miss Femme Fatal then you probably like Kim Kardashian, Beyonce or Jennifer Lopez. Breaking necks is an everyday thing. When you walk into a room you command presence with your goddess aura. You’re a sultry goddess and love to show your gorgeous curvy body with bodycon dresses and anything that exudes and accentuates your body while still maintaining sophistication and class. A bag that would suit miss femme fatal is something that’s dazzling, bold, sassy and gorgeous like these unique and fabulous Marni and Burberry clutch bags. If you are Miss Bona-Fide you’re then very classy. You describe your style as sleek, elegant and sophisticated. You have taste in classic pieces. You don’t really follow whats on trend. You wear well-fitted clothing. You’re all about crisp clean lines, straightforward shapes and nicely tailored suits. The colour palette most likely to be found in your wardrobe is navy, black, white, khaki and grey. Your style icons: Jennifer Aniston, Reese Witherspoon and Elle Macpherson. Your kind of bag is sophisticated yet trendy like this Stella McCartney clutch and Philip Lim oversized classy clutch. Miss Eccentric is wacky, funky, risqué and just so much fun. She loves to play around with fashion from styles to colour, print and texture. There are really no rules. She likes to mix and match. 'Fashion is not to be taken seriously' is how she sees it. If you identify with this personality your fashion Icons are most likely Rihanna, Katy Perry and Gwen Stefani. Your Type of bag is unique and full of personality, something like the Narcisco Rodriguez and the Versace clutch bags. These are Just buzzing with personality. Her style is described as elegant, feminine but not flirty. She is extremely sophisticated. This lady loves feminine details like lace and ruffles. She’s never overdone. Being OTT is not her thing. 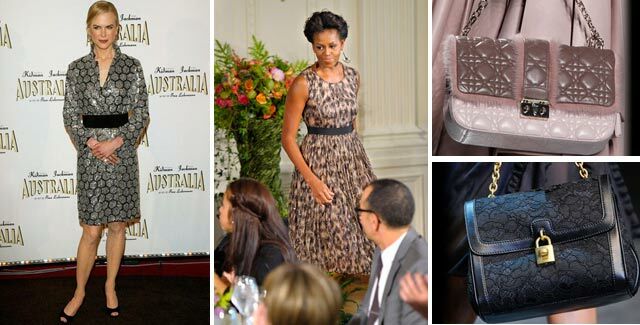 Examples of the Refined Damsel, Icons include: Michelle Obama, Nicole Kidman and the late Grace Kelly. Your bag includes these stunning and classy-chained beautifully textured bags below from Dior and Gabbana. The fashion forward Fashionista. Another lady that loves breaking rules in the fashion game. She loves to create new looks while still keeping it freshly sophisticated. She loves colour, bold prints, texture, five-inch heels, throwing on a blazer over a dress, chunky accessories - anything glam and fab. It’s all part of being a girly girl. She exudes ultra fabulosity at it’s best. Her fashion sense just screams opulence and splendor. Miss Park Avenue looks exquisite even in a simple tee and denim look. There is something about her style that is simply amazing and luxury is the key. Her favourite brands include, Burberry, Gucci, Jimmy Choo... the list is really endless. Her Icons are Victoria Beckham, Zoe Saldana and Kirstin Davis. 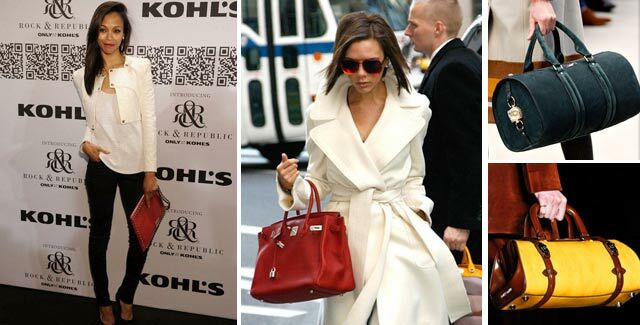 The bag for Miss Park Avenue Chic are the 'Downton Abbey'-era inspired structured handbags. Miss Preppy with the nerdy girl swag. Fitted blazers, bright colours, plaids and prints are her thing. She’s bright and bubbly and loves to show the world her vibrant personality. Your fashion icons include: Agyness Deyn and Dakota Fanning. Your ideal bag would be a messenger bag. 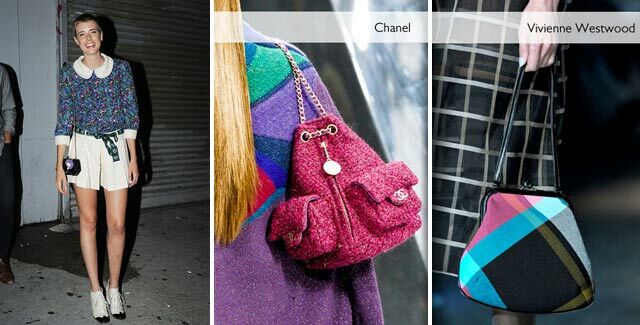 Chanel and Vivienne Westwood have these cute preppy bags. These bags are very ideal for Miss Preppy. Miss Bohemian is relaxed and free-spirited. Her signature fashion style is layering. Mixing up various collections, from vintage-wear with a touch a glitter, glam and edge. If you're into the Boho Chic look, your fashion icons include: Zoe Kravitz, Rachel Zoe and Nicole Ritchie. You bag is either this chained Dolce floral bag from Dolce and Gabanna or this bold, loud 60s-inspired printed bag from Prada. 'Less is more' is Miss Minimalist’s style mantra. Keeping it simple is very important. Ruffles, frills and embellishments don’t give her much of a thrill. She favors toned down colours over flashy and flamboyant colours. She keeps her style, sleek, clean and classy. If this is you your style icons include: Angelina Jolie and Kate Moss. The perfect bag for her is either this oversized simple black Prada bag and Alexander Wang bag. Hope that tip helped a little. If you so happen to like all the bags and wouldn’t mind changing up your style now and again to suit the bag then by all means go ahead. Ladies are allowed to change it up..
Visit www.belle-monde for amazing fashion ideas!